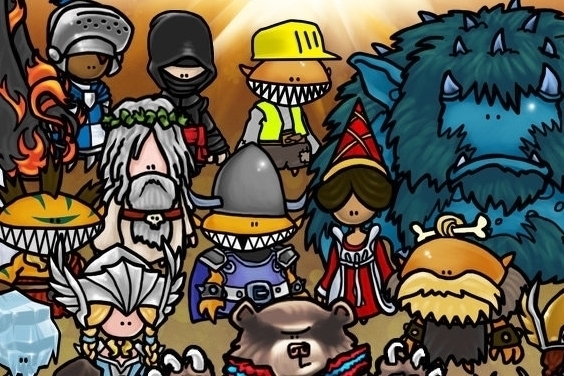 Crowd-sourcing effort aims to bring the MMO to iPad. RedBedlam, developer of the upcoming PC MMORPG The Missing Ink, has launched a Kickstarter campaign to bring its currently open beta title to iPad. The Missing Ink is a cross-platform MMO that picked up the 2012 People's Choice Award at the Develop Conference Indie Showcase last year. Players join forces to restore a fantasy world where classic myths and legends have become corrupted, and a mischievous source of evil threatens to undo even more of the world's fairy tales. The game is currently at Â£2,796 of its Â£25,000 target, with 38 days to go. You can read more details about the game, and the backer awards over at the Kickstarter page.